I am owning a Scirocco for one year and have painted with vinyl a few parts and changed all the interior lights into LED. Now I am about to buy new stuff for the exterior to make it look different. 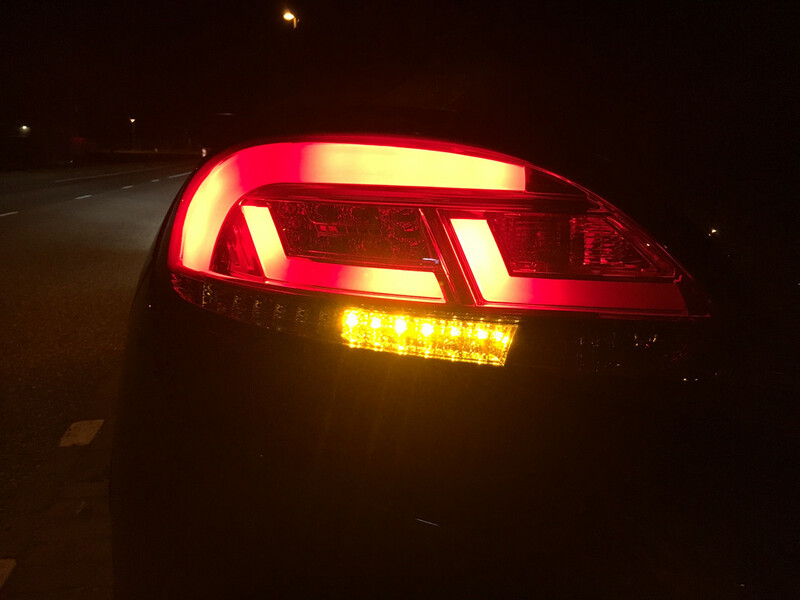 I have seen the Dectane DRL lights and LED rear lights but I have a few questions... I have sent them an email a couple of weeks ago but they haven't answered yet and I would like to know if somebody has the lights I want to buy because I don't know if they are Canbus or not. My car is halogen and don't want the computer to tell me that there are fused lights. I ordered from the Dectane Tuning direct and have had them on for a couple of months now (so far no problems). You might struggle to get them off the direct website now as they permanently say out of stock, not sure whether this is to do with the Scirocco's ceasing production or what? In my opinion they are the best after market light that fits the Scirocco and makes it look so modern! Try Ebay! Anyone had any problems with these lights? Turnerscirocco wrote: Anyone had any problems with these lights? Yes, my left light stopped working after 1.5-2 years and I didn't get a refund nor did I get a replacement from Dectane even though they promised. They just stopped answering. Don't but them directly from them so you don't have to do business with Dectane. So you can sort something out when you have a faulty light. Crap light ! ...my left light stopped working after 4 days !!! full of water ...Dont buy ! After almost a year and a half now with the smoke Dectane DRLs, no issues at all, not once. In fact I like them so much, I would just buy another set if anything went wrong (ebay). I believe you can never go back to the stock ones after seeing these in person (would like them just a bit brighter though). I had a problem with the dynamic ones, some leds of the left sidelight started to fail. Pure car design send me a complete new set for free, so very good service. The black smoked ones are also very nice to see. All Dectane light are very low quality build, the first version have problems in the control module inside the tailight, also have problems with LEDs soldering, became weak and crack. The good thing is that they are lovely so see!